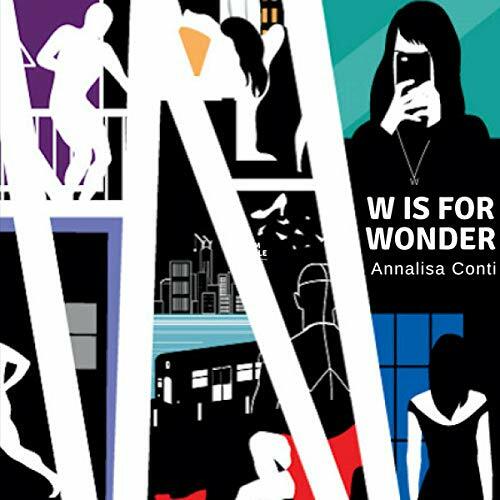 W Is for Wonder collects the first 10 episodes of the adventures of W, a superhero like no other, who struggles between the hunger for justice and the need to use violence to achieve that very ideal of justice. Through the episodes, the listener follows W, a shadow running in the darkness of lonely New York City corners, chasing criminals, helping lost souls. Some nights are memorable for W and they are filled with successes in fighting crime; some nights W holds on to the daytime identity of Guinn McGovern, trying to deal with a normal social existence and the struggles of modern dating. Some nights W has to wear both hats: the job of the superhero doesn’t allow any day off, even when some truths about Guinn, and about how some of the main characters of the series became who they are, could be waiting around a corner.